Jeanette passed away Friday, March 22, 2019 at McLaren Bay Region, age 82. She was born December 13, 1936 in Bay City, Michigan to the late Joseph and Cora (Piotrowski) Murawski. She married Jerome F. Jaynes in St. Stanislaus Kostka Church on August 1, 1959 and he predeceased her on May 12, 2000. Jeanette was a member of Our Lady of Czestochowa Parish-St. Stanislaus Church and was on the funeral luncheon committee for many years. 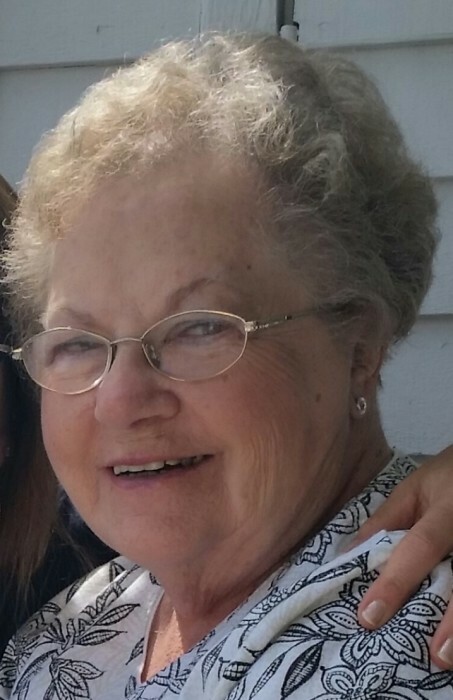 She enjoyed gardening, feeding the birds and her neighborhood squirrels she named over the years, camping and traveling with her family and luncheons with her close friends. Surviving are three daughters: Cheryl (Terry) Gotowka, Cindy (Thomas) Schuetz and Carrie Jo (boyfriend, Steve Fritz) Jaynes, and two grandsons, Michael (fiance Kelly Patterson) Gotowka and Christian Schuetz. Jeanette was predeceased by three sisters and one brother: Eleanor Piesik, Dorothy Murawski, Loretta Block and Joseph Murawski.